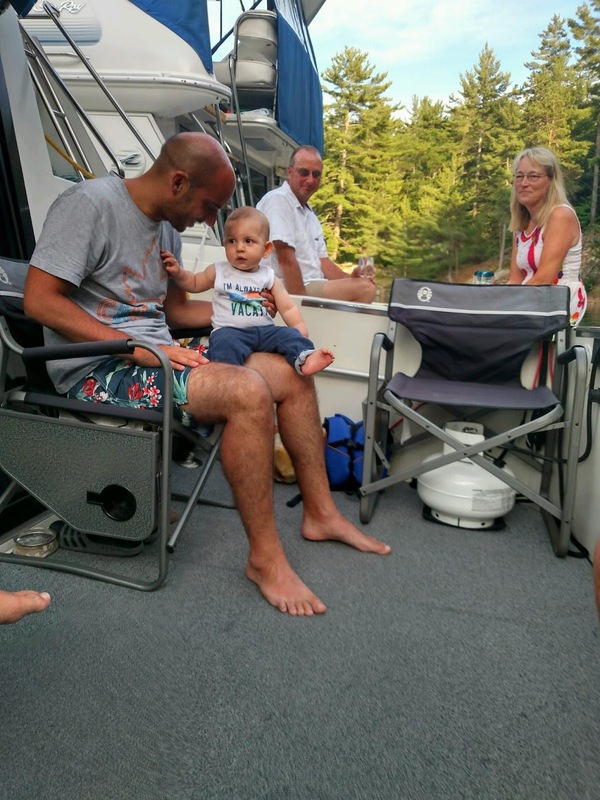 We started the morning like every morning on the boat with RJ this trip... with some playtime on the v-berth while mom and dad drink their coffee! Looking back from this year with RJ, last summer was sooooooo much easier before he was mobile! He would happily play in the v-berth for quite awhile, and we didn't have to worry about him throwing himself (or our keys) off the boat. This morning we checked in with Orca, who said that Marianne Cove was nearly empty. We'd been there before, and loved it (and met some of our favorite people! ), so we were excited to return. The last time we were there we had our eye on a particular spot we saw another boat pull into, and were able to secure it this time. Later on in the evening, after spending the day playing on the paddleboard, we joined the crews of Orca and Ray of Light for dinner and drinks. 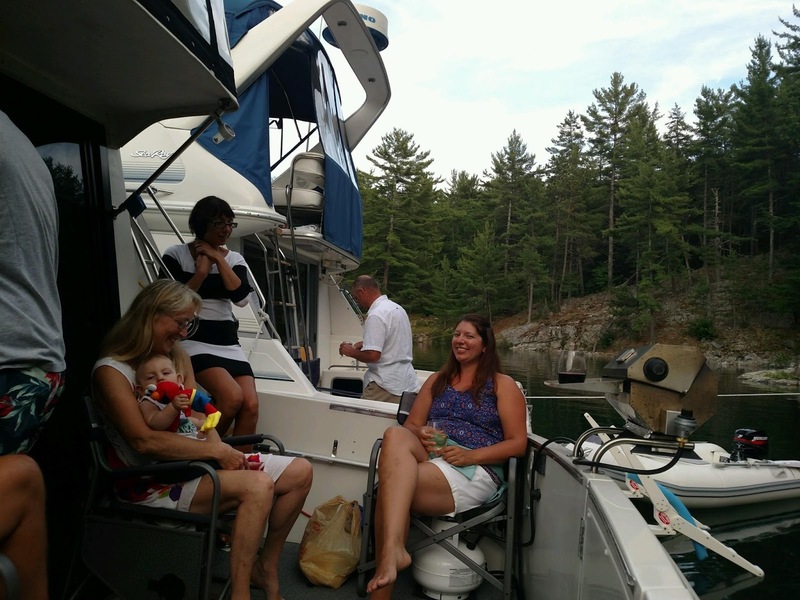 We meet some of the nicest people on our trips, and look forward to all the new friends we make every summer! Captain RJ fits right in with the group and doesn't even seem to think it's out of the ordinary to hop aboard someone else's boat for dinner :-) He's a very social little guy, and we love to see him comfortable playing with others he just met (and letting them feed him haha). I hope he grows up to think it IS normal to make fast friends and feel comfortable anywhere, and the boating community is wonderful for that. In our "land" life, we probably wouldn't think to go for dinner at someone's house we met an hour prior. In our "boat" life, that's the highlight of the day!